Shop and save till you drop on this day trip to the Serravalle Designer Outlet from Milan, with round-trip transfers. On arrival at Italy’s largest designer outlet, browse the nearly 200 stores and enjoy up to 70% off brands such as Calvin Klein, Bulgari, Nike and more. For more benefits, upgrade to the VIP Shopping Pass and, as well as the 10% discount, enjoy fast-track coach boarding and a 10 euro lunch voucher. Choose from three departure times and durations to suit your schedule.Shop and save till you drop on this day trip to the Serravalle Designer Outlet from Milan, with round-trip transfers. On arrival at Italy’s largest designer outlet, browse the nearly 200 stores and enjoy up to 70% off brands such as Calvin Klein, Bulgari, Nike and more. For more benefits, upgrade to the VIP Shopping Pass and, as well as the 10% discount, enjoy fast-track coach boarding and a 10 euro lunch voucher. Choose from three departure times and durations to suit your schedule.Choose between the available departure times and the standard or VIP shopping option when you book. Then, when the time comes, meet your guide in central Milan and board your comfortable, air-conditioned coach for your journey to the Serravalle Designer Outlet, roughly one hour away. On arrival, set out on your day of independent shopping around the elegant complex. Designed to resemble a classic Italian village, Serravalle is Italy’s largest designer outlet and boasts a circular layout that makes it easy to hop from store to store. Stroll the tree-lined pedestrianized walkways that link the nearly 200 stores, and scout out the bargains in designer fashions, casual clothing, footwear, cosmetics, sportswear and even home furnishings. Brands include Calvin Klein, Armani, Versace, Dolce & Gabbana, Bulgari, Timberland, Roberto Cavalli, Prada, Burberry, Nike, Adidas and more, and you can expect discounts of up to to 70% off recommended retail prices, so you’ll enjoy some great savings. Take a break from shopping at any of Serravalle’s choice of eateries and cafes. Perhaps enjoy an ice cream at the enticing gelateria, unwind over a coffee, or grab a bite at the pizzeria, bistro buffet or other restaurants. With your shopping over, load your bags onto the coach and return to Milan, where your trip ends with a drop-off back at the departure point. VIP Shopping Pass UpgradeUpgrade to the Serravalle VIP Shopping Pass and, as well as the Fashion Passport with its extra 10% discount at select Serravalle stores, enjoy a number of additional privileges and benefits during your day out. With the VIP Shopping Pass, get a Fast Track Pass for priority access to the coach, letting you skip the main line to board the coach on both your journey to and from Serravalle. Plus, your VIP Shopping Pass also includes a valuable 10 euro voucher towards lunch at a selected restaurant in the mall, making your day out even better value! If you love shopping this is the tour for you! 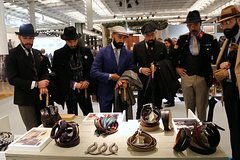 Whether you are into luxury boutiques, designer brands, unique fashion, interior design or vintage, this tour gives you a VIP shopping experience of Milan in a very personalised and unique way. Combine sightseeing with Italian shopping with this private 10-hour excursion, including a 2-hour sightseeing tour in Milan's city center and a visit to the Serravalle Outlet shops. Relax with all transportation covered and, if you like, the services of a guide (additional charge). This private Shopping Tour with an expert English Speaking Assistant will help you to find the best of Italian Fashion for your new look. The car will be with you for 4 or 8 hours with a driver and Assistant. Available also 8h option with Shopping + Guided Tour. Discover how style can influence your career or personal life with this fashion style image course of one day in Milan. Have your personal fashion styling course: a full immersion into the world of fashion. Dedicate some time to your personal image and enjoy a fashion experience in Milan, one of the most famous fashion cities in the world. 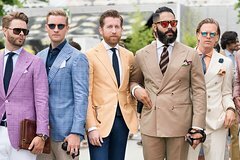 Discover how style can influence your career or personal life with this men fashion style image courses in Milan. Courses open all the year round; enrollment every Monday. We will meet at my studio in the center of Milan, have a brief talk about styles and what suits you better and to finish we are going for a nice walk to have our Milanese aperitivo. 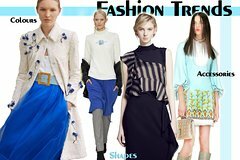 For all the fashion victims, learn about the latest trends before going shopping in the fashion capital of Milan. Would you like to have an unique experience during your stay in Milan? 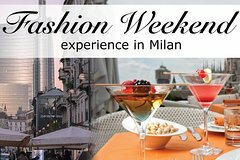 Are you a fashion enthusiast and would like to learn more about fashion styling or the best places to go shopping in Milan? This 2-day experience will guide you through discovering the different types of Italian styles and most important designers. You will discover new hidden places and have the chance to experience the Italian life. Milan is Italy’s trendiest city and always on the vanguard for fashion as well as cuisine. This tour is a mix of tastings and flavors. Milan is fashion and also food; you will savor the flavors of Italy on a walking tour, led by a food and fashion loving local guide. the world! Dedicate some time to your personal style and enjoy a fashion experience with your own personal stylist. the shopping gems of Milan with an itinerary tailored to your tastes, this tour is for you! next level with a personal stylist to guide you. Enjoy a day of Shopping just one hour from Milan at Franciacorta Outlet Village. Located between Lake Garda and Lake Iseo, in the famous Franciacorta wine region, the Franciacorta Outlet Village offers discounts up to 70% all year round on the most famous International brands. Discover the famous wines and fashion styles of Italy on this 9-hour tour of the Franciacorta region from Milan. Delve into the fertile Franciacorta wine region and visit a local winery with a guide. You will taste award winning wines, like the world famous 'Bollicine' and 'Satin' while meeting some of the numerous characters that produce these wines. You will be able to chat with the vineyard owners and wine makers as well. During your tour you will enjoy a light lunch accompanied with a glass of sparkling white wine, the visit of a selected vineyard led by a knowledgeable, friendly guide and the tasting of some of the local finest wines. After the wine tasting, visit the Franciacorta fashion outlet and enjoy savings of up to 70% on your purchases before taking the coach back to MIlan. This tour is for everyone whether you are a wine novice, or a dedicated wine connoisseur. As the fashion capital of Italy (and the Milanese would argue, of Europe! 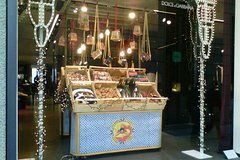 ), shopping in Milan is an experience not to be missed! The locals are renowned for their style, and you’ll find the very best of Italian fashion here - from luxury boutiques and high end galleria to family businesses where you’ll find incredible quality but affordable fashion, with a local by your side you’ll be able to discover the very best of Milan’s most fashionable neighbourhoods and shops. Discover Milan’s distinct style as well as the quality and elegance that Italian fashion is famous for, unearth hidden treasures and shop in the city’s very best stores for unique pieces to take home! A resident cool hunter in Milan will lead you on a true insider shopping experience. Flagships and concept spaces, vintage and design, be guided around Milan’s retail highlights of the moment. This retail tour of Milan is a must for design lovers, trend setters and cool hunters from all over the world. Book this private "atelier experience" to discover the intricacies of and the charm of the Italian tailor-made fashion world. You'll be guided through the 3 floors of an authentic Milanese atelier and explore its secret and exclusive areas! 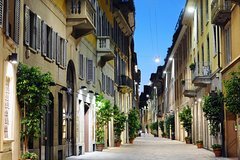 Enjoy a fantastic shopping experience in Brera, one of the most evocative districts in Milan, once populated mainly by artists and bohemians. Its narrow streets will allow you to discover authentic Italian boutiques, curiosity shops, bric-à-brac, and interesting antique shops. All of this with the guidance and attentive suggestions of your dedicated personal shopper. This is the ideal place in Milan for shopping and window shopping: imagine if you had a personal shopper at your full disposal while there. Visit Vittorio Emanuele Gallery and Via Torino during the day, it is traffic-free and has porticos lined with shops (mainly clothing and accessory boutiques). If you'd like to find low-cost but fashionable outfits, this is your tour. With a personal shopper at your full disposal, experience a fashion walk through Milan. Whether you want to find your new perfect outfit, to buy some real Italian gifts, or to get some authentic souvenirs, this is a must-do before you leave the city. Enjoy an exclusive 1 hour walking tour that will show you what Made in Italy really is. You will have chance to visit a selection of the best ateliers & fashion stores. A special guide will show you these temples of fashion. Our tour guides have worked for years for the most famous Italian fashion brands, for this reason they will guide you through the best boutiques only. We work with a huge number of fashion stores and ateliers. Therefore, we select different ateliers for each tour, according to the tailor needs and, of course, the customer ones. If you want a longer Fashion Tour, write us or book our Milano Fashion Tour - Private Sales & Personal Shopping. If you want to change the tour departure time, please write it at the time of booking. The best fashion experience in Milan. This tour stays away from low quality stores and takes you where you can find pieces directly from the catwalks. All our tours are private and exclusive. The duration of the tour is 2.5 hours and it takes part in the center of Milan. You will have the unique opportunity to walk through the Milano Fashion District with your own personal shopping, who will show you all the secrets of fashion in Milan for a customized fashion experience that you won't forget. All the tour options start at the same meeting point: Montenapoleone metro station, beside Armani Hotel, via Manzoni, Milano. If you are looking for a customized tour, when booking, write your requests in the Special Requirements section at the Secure Checkout step, under Activity Info. The best experience in Milan. This tour stays away from low quality stores and takes you where you can find pieces directly from the catwalks. After 1 hour Fashion Tour in the Montenapoleone Fashion District and his hidden ateliers, your fashion guide will take you inside the heart of Milano: an ancient tailor apartment at the top floor of Galleria Vittorio Emanuele II. You will have a chance to get a selfie from one of the magnificent upper windows of the Gallery. The Galleria is often nicknamed il salotto di Milano (Milan's drawing room), due to its numerous shops and importance as a common Milanese meeting and dining place. The Galleria is famous for being home to some of the oldest shops and restaurants in Milan. Live all the secrets of Milan through a customized fashion experience that you won't forget. Tailormade Jewelry shows the unique harmony between original design, an unusual combination of precious materials, and the excellence of craftsmanship which together produce an ornament that is not only perfect and exclusive, but also meaningful. This 2.5-hour tour will show you the perfection of design and preciousness of materials are combined in jewels to create an ornament in absolute harmony between beauty and manufacturing, the highest levels of creative quality and craftsmanship. The Biblioteca Ambrosiana, founded by Cardinal Federico Borromeo in 1607 and opened in 1609, is one of the first libraries built by a private patron to be opened for public reading. In the magnificent building in the heart of Milan, planned by Lelio Buzzi and Francesco Maria Richini, the cardinal assembled one of the largest collections of Greek, Latin, vulgar and several oriental languages manuscripts, in addition to precious religious and private collections’ funds. 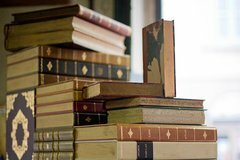 Books need skillful hands that take care of paper, binding and its finishing in order to resist to the signs of the time. Visit one of the oldest bookbindery in Milan, honored with the Historical Shop recognition. From leather’s binding to marbled paper, everything is handcrafted according to ancient techniques handed down from generation to generation. 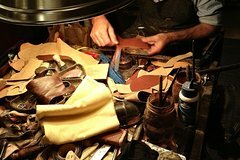 The Bagatti Valsecchi Museum hosts an interesting collection of Italian artisanally made leather goods from 15th and 16th centuries. It ranges from weapons cases and containers to gunpowder flasks and the “rotella”, a type of shield used for decorative purposes in parades. Leather is one of the reoccurring elements, together with metal, always present in warrior’s equipment of every age. Fidenza Village, one of the Villages by Value Retail, is located just one hour from Milan and Bologna and is leader of a Luxury Shopping experience with more than 120 boutiques of Italian designers and international brands, all offering reductions of up to 70% on the recommended retail price, all year long. Visit Fidenza Village on an independent day trip from Milan and shop 'til you drop at the outdoor shopping mall, home to 100 luxury boutiques with savings on last seasons' clothing, accessories and cosmetics. Choose the 'express' option, which simply includes round-trip transport, or upgrade to the ‘experience’ option that includes a 2-course meal at an on-site restaurant, a 50-euro gift card (worth approximately 68 US dollars), and a VIP card for use at select boutiques such as Guess and Baldinini.